The government continues to report positive macroeconomic news. Yesterday, the Institute for Supply Management (ISM) released its Purchasing Manager's Index (PMI) for October 2009. The PMI came in at 55.7%, better than what Wall Street economists were expecting, and better than the September figure. For the PMI, any figure above 50% is a strong indication that the American manufacturing sector is expanding. Though an economic recovery appears to be taking hold, too many Americans are still dealing with various forms of oppressive debt, a home mortgage balance that's higher than their home's value, and job insecurity. In fact, earlier today Johnson & Johnson, a component of the Dow Jones Industrial Average (DJIA) and number 29 on the Fortune 500, announced that the company will be cutting 7,000 jobs (that's between 6% - 7% of its workforce.) National unemployment, already at 9.8%, will almost certainly rise during the fourth quarter and into Q1 2010. A jobless economic recovery? Yes: we're in it right now. The whole world is relieved that the subprime debt-inspired credit crisis, which precipitated the worst recession since the early 1980's, and which brought the American financial system to its knees, has almost run its course. The liquidity maelstrom of 2008 and 2009 prompted the banks which survived the subprime debacle to cutback on all kinds of loans, including credit cards. But financial markets are on the mend, as evidenced by low LIBOR rates, a healthy TED spread and the return of generous 0% intro APR credit cards. NB: The 0% intro APR is reserved for those who qualify for "Elite" or "Premium" pricing. Those who can only qualify for "Standard" pricing cannot take advantage of any interest-free introductory period with this particular card. If you have a good FICO® credit score (above 700), you will probably qualify for either Elite or Premium pricing. Slate is a very timely credit card: it has arrived in time for the fast approaching Christmas shopping season. With Slate, cardholders can do their holiday shopping and have plenty of time (12 billing cycles) to pay their credit card balance down to zero without having to worry about interest charges. The goto rate with the Slate card, however, is relatively high when compared to consumer-friendly credit card offers that were available before the global credit crisis (likely a direct result of new rules included in the Credit Card Act of 2009.) For the consummate borrower who qualifies for Elite pricing, the rate charged on any balance remaining after the interest-free, introductory period ends is Prime (currently 3.25%) plus 9.99%, which translates to 13.24%. But the U.S. Prime Rate is as low as it can possibly go. As the economy heats up, it will certainly rises, and it will likely do so at a relatively fast clip as the Fed works to contain future inflation. There is no way of knowing exactly how high the Prime Rate will be a year from now, but if we plug in the median U.S. Prime Rate -- 8.75% -- then we get a rate of 18.74%, which anyone would agree is not consumer-friendly. In fact, any rate above 15% would be too much of a financial burden for the typical credit card consumer. During the past twelve months we have seen a paradigm shift in small business lending to say the least. 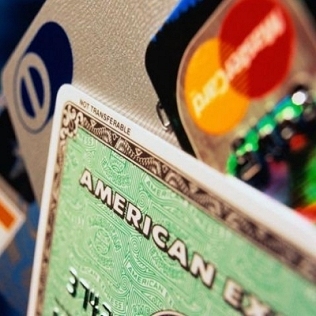 Once a staple of the industry, small business credit cards are now a rare find. As previously reported on this blog, banks left and right have been terminating business cards; including Advanta, Chase, and Citi. Many cardholders have also complained about higher interest rates and lower credit limits. Although there is some dispute as to whether or not the recession is over, there’s no denying that economic conditions have significantly improved since last winter. According to the United States Commerce Department, the U.S. economy grew 3.5% during the third quarter. Positive GDP growth has also been reported by some other countries, with China leading the way so far at 8.9%. If economic conditions continue to improve, we most likely will see business credit cards trickle back onto the market. It’s important to note that business cards are currently excluded from the Credit Card Reform Act of 2009. Therefore, it's possible we may experience the same "bait-n-switch" complaints on credit card deals in the future. That being said, due to increased scrutiny and regulation of the industry, these questionable practices will likely become far less common. It is also likely that new cardholders won’t be granted high credit limits, at least initially. Before the economic turmoil erupted, many new customers were given extremely high limits; often in the tens of thousands of dollars. For now, it is unlikely we will see these same spending limits awarded to new accounts. Furthermore, applicants with lower credit scores will probably not be approved. We may even see business credit card deals explicitly mention they are only seeking those with excellent credit profiles.